Puget Sound Energy has put $125,000 into defeating I-732, which would slap a carbon tax on coal-fired electricity that in 2014 accounted for more than a third of the power delivered to the utility’s Washington customers. The Bellevue-based Puget Sound Energy (PSE) has a lot at stake in the fate of Initiative 732, a ballot measure that proposes a steadily increasing carbon tax on fossil fuels. In 2014, more than a third of the power delivered to the utility’s customers came from coal, which has the highest carbon content of any fossil fuel and thus would be hit the hardest by the proposed tax. Through the course of the election season, PSE has stepped up contributions to the No on 732 campaign to defeat the measure. In August, the investor-owned utility put $25,000 in the opposition campaign, then on Oct. 28 came up with an additional $100,000. A PSE spokeswoman says the utility “firmly believes” climate change must be addressed but supports a national solution. As a regulated utility, any rate increase has to be approved by the Washington Utilities and Transportation Commission (UTC). And, it is unclear whether the commission would agree to pass on the carbon tax to the utility’s customers. Most of PSE’s coal power is drawn from Montana, where the utility has an ownership stake in the four units of the Colstrip Generating Station. The coal fed into these plants generates more than twice as much carbon emissions per unit of energy as the most efficient natural-gas-fired plants. So as the carbon tax increases year by year, the Colstrip units could be increasingly less competitive in Washington state with natural gas, and even more so with solar or wind power that emits no carbon emissions. PSE already has invested billions of dollars in renewable energy, and earlier this year signed an agreement that calls for shutting down the two oldest Colstrip units by 2022. 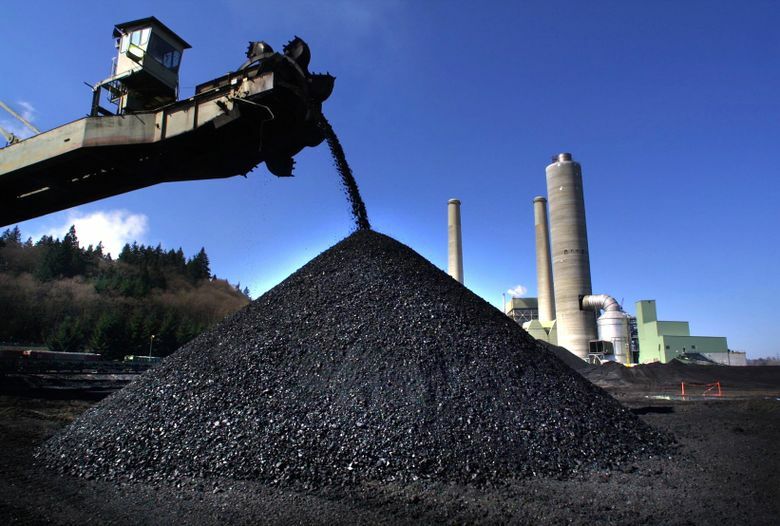 The carbon tax would increase financial pressures on PSE to move away from coal, said Jim Lazar, an Olympia-based economist who specializes in utility-rate analysis. The carbon tax also would impact Transalta, a Canadian-based company that operates a Centralia coal-fired plant scheduled to be shut down by 2025. Transalta now sells power under a long-term contract to Puget Sound Energy. But the company already finds it’s cheaper — under the contract terms — to often substitute other sources of power for coal, and the carbon tax would only accelerate that trend, according to Lazar. Transalta has donated $15,000 to the No on 732 campaign. Corporate officials did not respond to repeated requests for comment.